A couple of weeks ago we started a water filtration unit. 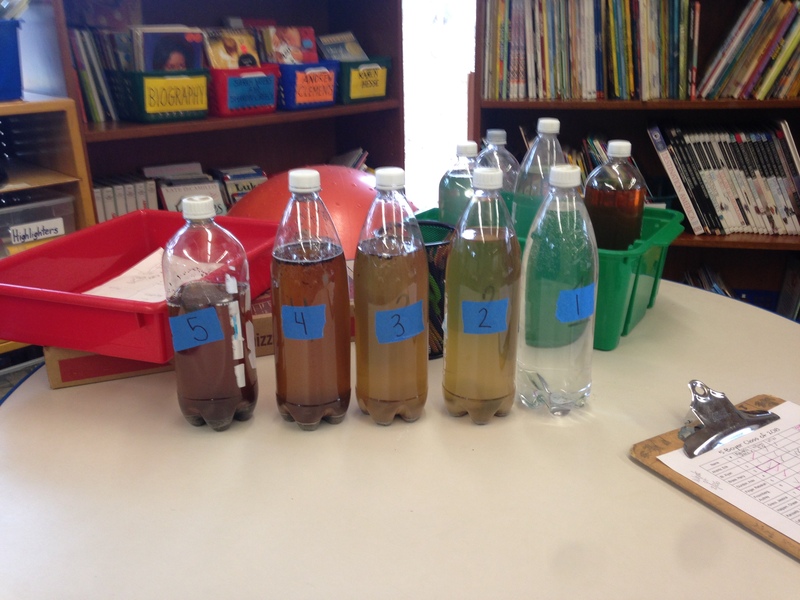 In the unit, we build water filters and test them on contaminated water. Also, The rating system is one to five, five being the worst one being the very best so basically one means completely normal water. The first step was drawing the sketches. well, Melike drew the sketches the did I not mention that my group is Melike, Arav, and Rehma (ill put links to there blogs). 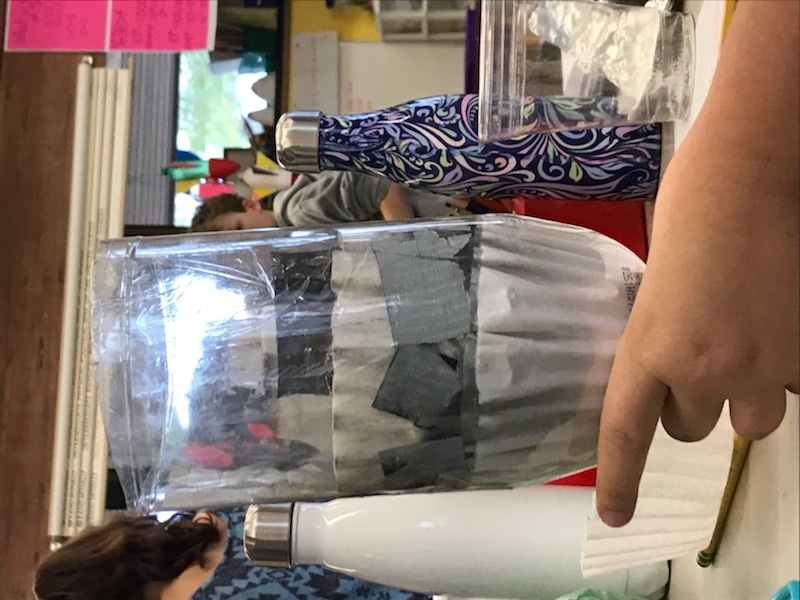 Then we started building, the materials that we used for charcoal A net coffee filters and Sand & Gravel. The order was first a paper filter or at the bottom another paper filter sand and gravel then the net. Our first try was not a success it got rid of all the microbes and all the big particles but no color. It turns out that the charcoal had to be way more crushed then it’s actually was. we didn’t have any hammer or anything to crush it so we just had to deal with it. Then we built a second filter this one was to try to get rid of the color. Another problem with the first one was that the water slipped through the side because our bottle had a big dent in it. 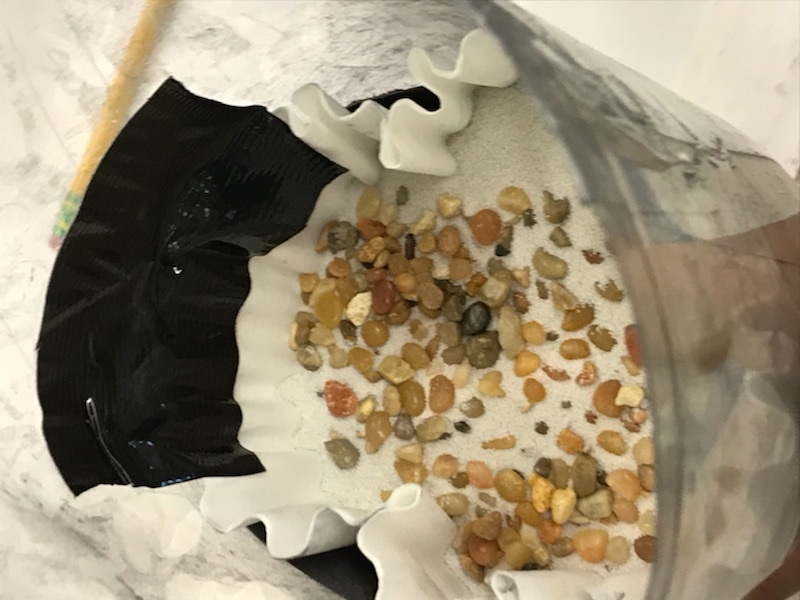 For this filter, we use the same tools but in a different order and more of the sand and gravel. 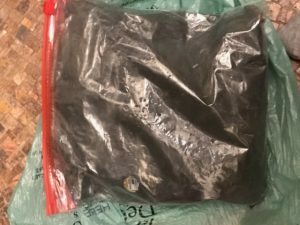 The order was coffee filter charcoal tons of sand and gravel then a net. This filter removed some of the colors but barely made a dent. 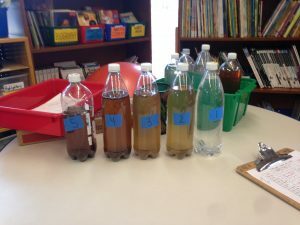 At the end of the project it turns out I love water filtration, and during this project, I’ve learned about a lot of water filtration products that I’m interested in trying. I also learned lots about water in other countries and how in some country they have to walk to dirty ponds to get water. In conclusion, I loved this project I love what it encourages I love the topic just a great project in my opinion. My first filter with no net. This post will be about A Long Walk To Water. If you don’t know what that is A Long Walk To Water is about Salvas journey to the refugee camp in Ethiopia And to Kenya. First of Salva is a huge inspiration to me. He watches his uncle get shot and five men die. Now onto the questions. Question one what are the qualities of effective leadership. First, what is leadership? leadership is having the traits to lead. One of the traits is determined when you’re leading you can’t just give up in the middle of what you’re doing then you’re just a bad leader. Also, some other traits are positivity because you can’t just think I can’t make it oh I’m too slow. One more quality is that you can’t be mean You can be a little bit Strict to has and telling people what to do but you can’t just be like ‘ Doug you’re going to slow we are going to leave you behind ’.The last quality is perseverance. Which means you always try even though it’s hard. Question two what qualities does Salva have for effective leadership. Salva definitely has determination he believes to take small steps. The second leadership trait that he has his positivity. He always stays positive even when he sees 5 men Dying or his Uncle get shot. The last quality is Perseverance he always tries even though it’s hard which is the definition of perseverance. now onto the smaller questions. For the smaller questions, i’m just going to put them all together. Question 1 how may Salvas philosophy help your life. If you’ve already forgotten his philosophy is to take everything one step at a time. I could use this in my life by doing things one step at a time. For example, what I’m doing homework that’s due on Friday I could do it a tiny bit every day. Question 2 Why is perseverance so important. perseverance is so important because you have to keep trying and you can’t give up or else you’re going to go nowhere. But if you try too hard and you’re not succeeding you’ll feel bad about yourself. Question 3 How can you develop the ability to persevere. To develop your ability with the persevere you can listen to salvas philosophy and that’s the take everything one step at a time. If you take things one step at a time you’ll have a better chance of persevering because you’re not feeling like you have such a huge goal. Today I started my stop motion animation. Before we even started we had problems with the cameras we had this start making the camera angle. We had to tape it on 2 boxes and it kept on fidgeting but we put Post-its on the legs of the table to make it stand. When we started filming we made the transportation title move on to the screen and it looks super duper good, and that’s all I’ve done so far the end.